This one added the ability to create new leagues in the editor, which is the point this series hit its true heights. To say football management sims (across all platforms) have been a massive part of my gaming life is a huge understatement. Thousands upon thousands of hours wasted and countless sessions until dawn. 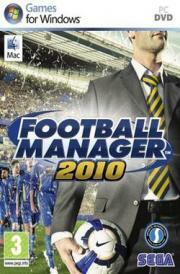 Of all of them though, FM10 is my favourite. It struck the perfect balance between its pacing and its usability and complexity. I still run this today on every computer I have much to the annoyance of the wife.